4K. time lapse landscape of U Bein Bridge area ayeyarwady river in mandalay of Myanmar. 4k00:144K. time lapse landscape of U Bein Bridge area ayeyarwady river in mandalay of Myanmar. hd00:18People crossing the U Bein bridge in Amarapura, Myanmar. Dramatic sunset with the bridge and people in silhouette. 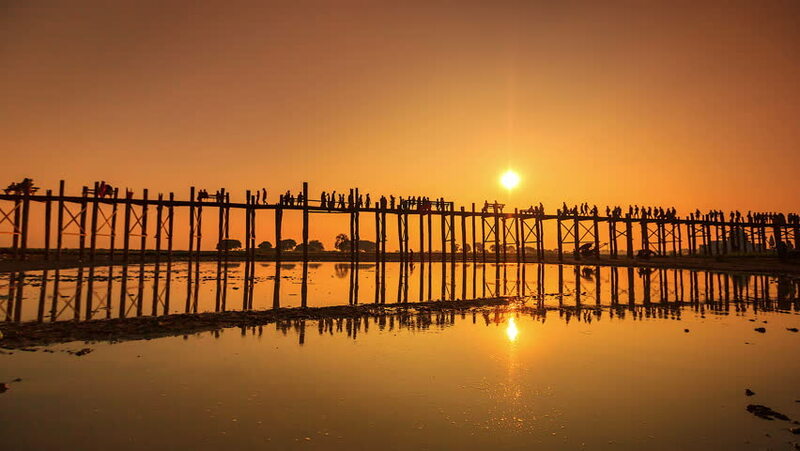 hd00:17U Bein Wooden Bridge at Sunset 2 - Famous U Bein bridge in Amarapura, near Mandalay in Myanmar (Burma) at sunset.